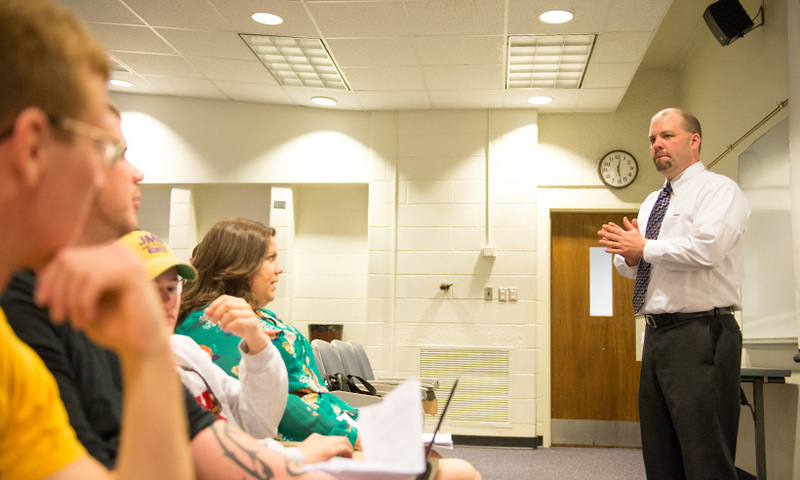 Blending adult learning theory, instructional technology, and talent development, the Adult Education and Human Resource Development (AHRD) master’s program creates an engaging and innovative learning environment for students who want to help employees perform at their best. Students in the AHRD program learn to identify workplace performance gaps and develop learning solutions using industry best practices so that employees can succeed and grow. Our students develop the knowledge, skills, and attitudes to be leaders and contribute to high-quality, sustainable organizations. Our core program curriculum is aligned with industry standards, while also allowing students to focus their studies on topics most relevant to their career goals and interests. Our curriculum provides a strong foundation in theory with the applied skills to take the concepts and practical experience into a range of career fields, such as instructional design, human capital consulting, and corporate training. Plus, the program includes a blend of online and face-to-face instruction, making it accessible for full-time students in the local area and working professionals. Our graduates serve in dynamic roles across multiple sectors including higher education, business, government, and non-profit organizations. The AHRD Master’s program gives program graduates a competitive edge when they enter the workplace. Our program provides both the theoretical grounding and practical experience necessary to design. develop, implement, and evaluate innovative and effective technology-infused learning programs. Our core curriculum ensures that students are prepared to work in the field, and our summer study abroad program builds skills in global competence and visual communication, both critical competencies in today’s job market. Whether you're a working professional looking to complete your degree from home, or you are looking for an on-campus experience in a beautiful city in the United States, we have the program for you. Estimated tuition and fees for international students for two-year program. Living expenses additional.